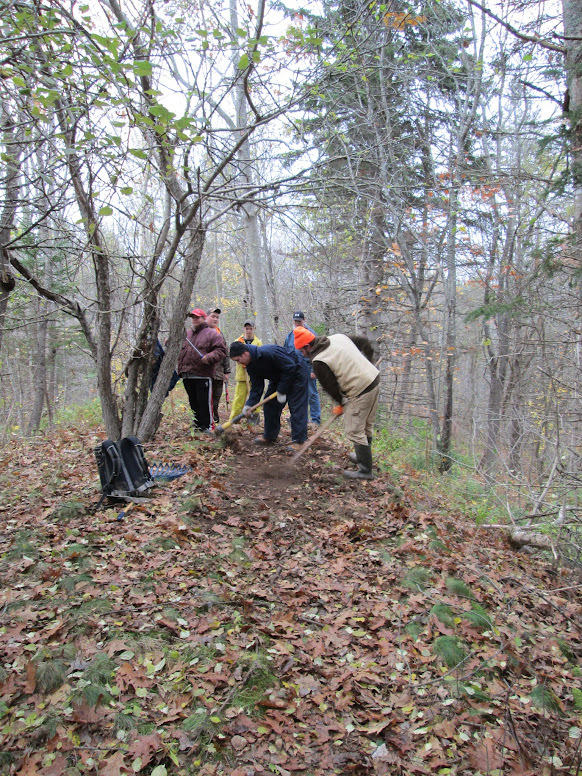 Please come join WHTA for a trail work party on Sunday May 15th from 10am to 2pm. We’ll be working on the finishing touches of the second phase of development on the Avondale Trail System. Soon we’ll have another 2.0km of trail to hike, with a new trail head at the Avondale Sky Winery!We’ll meet at the Avondale Community Hall parking lot (50 Avondale Cross Road, Avondale) at 10am. Please wear the appropriate layers, including rain gear if required, bring lots of water and snacks, and be prepared for walking 1-5km carrying trail building supplies and using hand tools. Beverages and a lunch will be provided. Please contact us at westhantstrails@gmail.com to register or for further information, or call Devan at 902-579-0607. We will be out rain or shine!